Be safe while wading by wearing a wading belt. The FishYo! 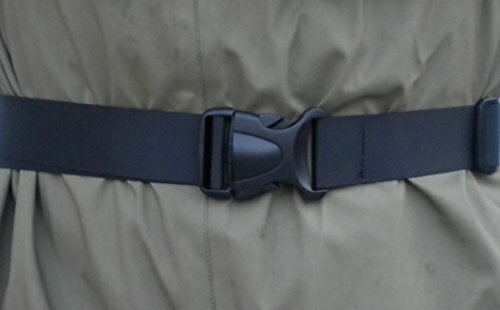 Wading Belt is strong, long lasting and stays put. Waterproof and UV resistant. It tightens for a secure, comfortable fit. Ladder loop design make sure it stays tight. Also great for carrying extra equipment and tackle. Fits up to a 58″ waist. Also great for carrying tactical gear! Nylon web belt with high quality quick release and ladder loop to take up slack. Great looking, resists dirt and mildew. Not just for fishing- great to carry tactical gear!